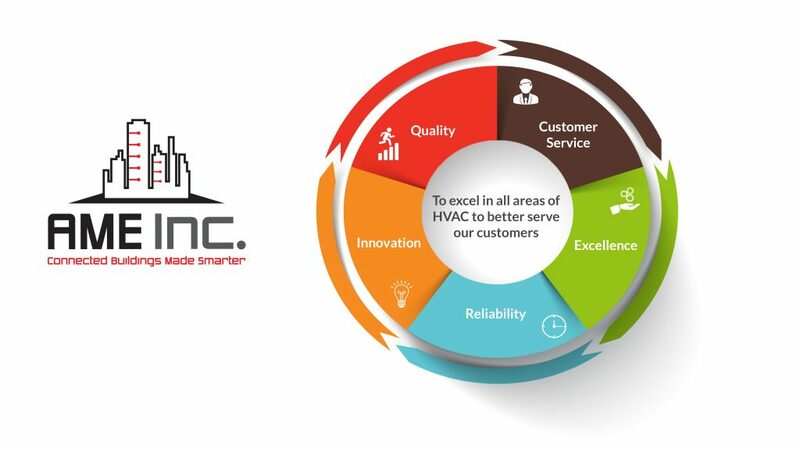 To excel in all areas of HVAC to better serve our customers. We use our vision statement as our guide to remind us every day of our primary objective. We strive to be the best in all we do and in doing so we can provide only the best for our clients. Quality, reliability, innovation, customer service and excellence. Our company core values are ones we live by every day. We apply these values when we approach any new project. Give us a call and let us show you how we integrate our values into every project we take on. © Ame-Inc, Inc. All Rights Reserved.